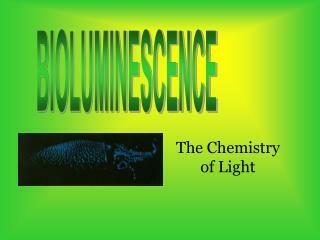 A chemical reaction in some fishes, squids, octopuses, and other animals of the deep sea, which produces light. 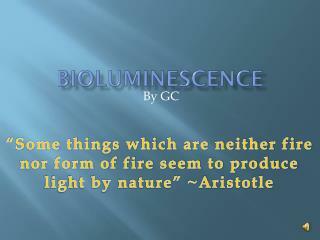 Some fungi & insects do this as well. 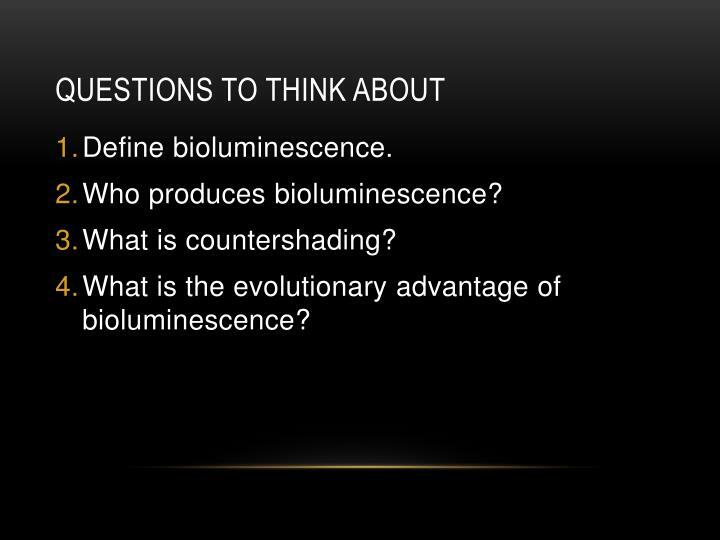 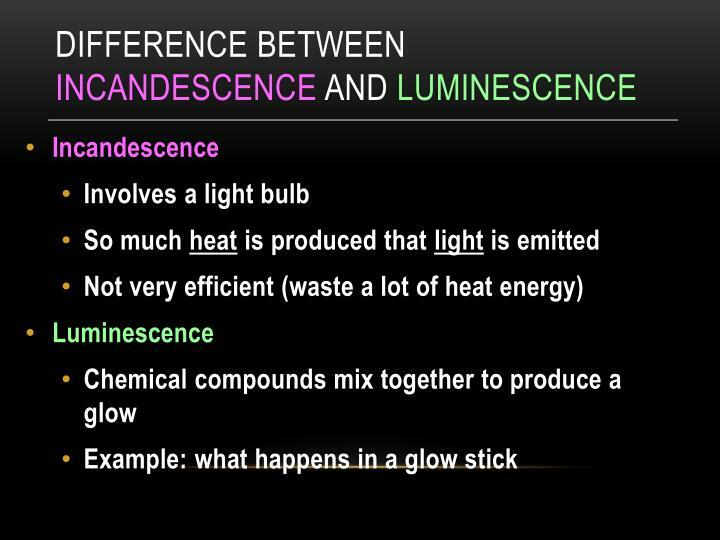 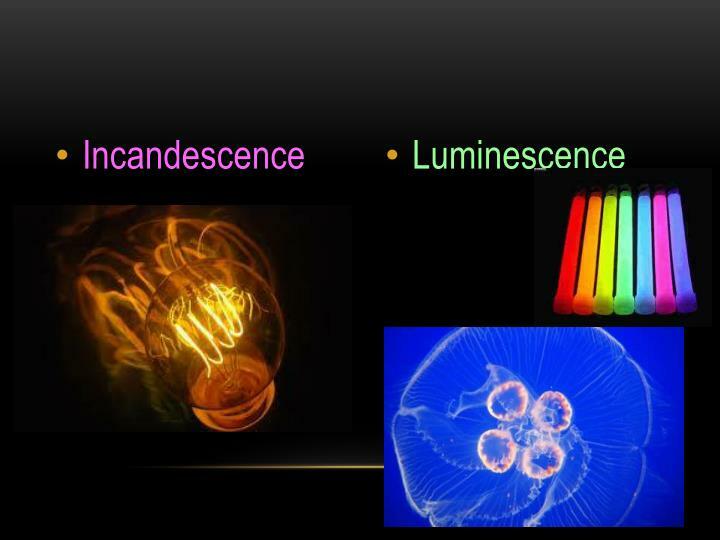 What exactly produces the light in bioluminescence? 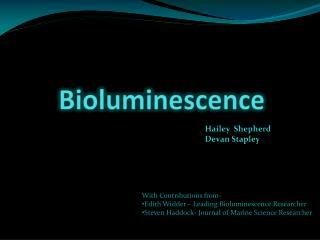 Where do bioluminescent marine organisms live? 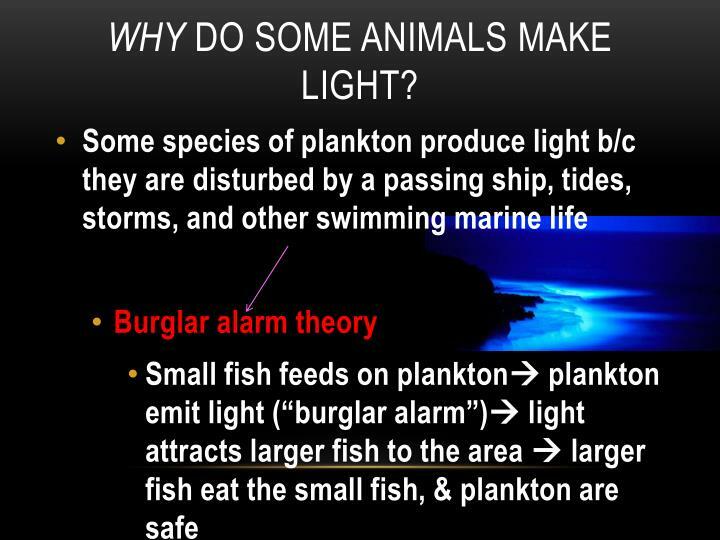 How might these two facts be related? 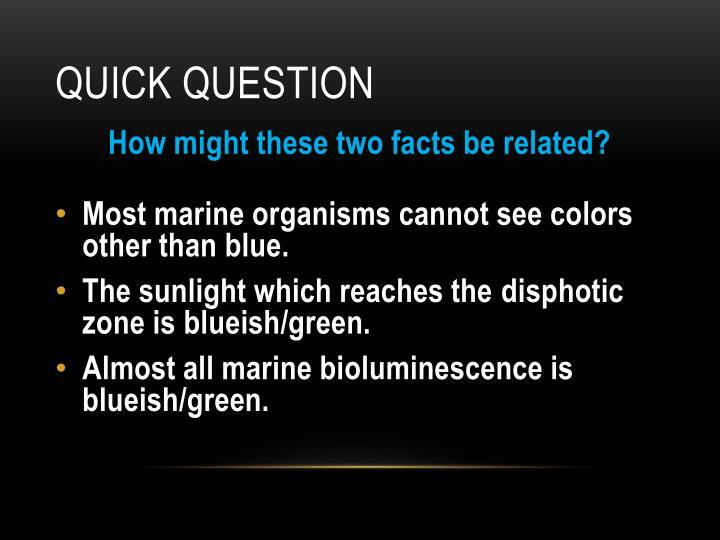 Most marine organisms cannot see colors other than blue. 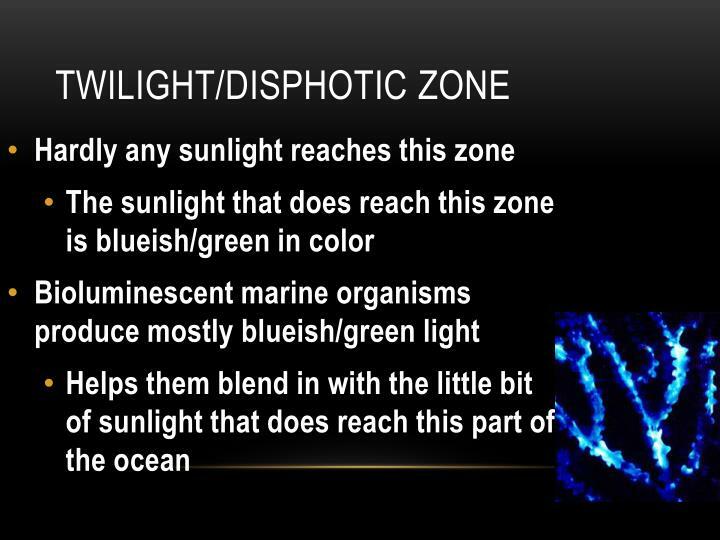 The sunlight which reaches the disphotic zone is blueish/green. 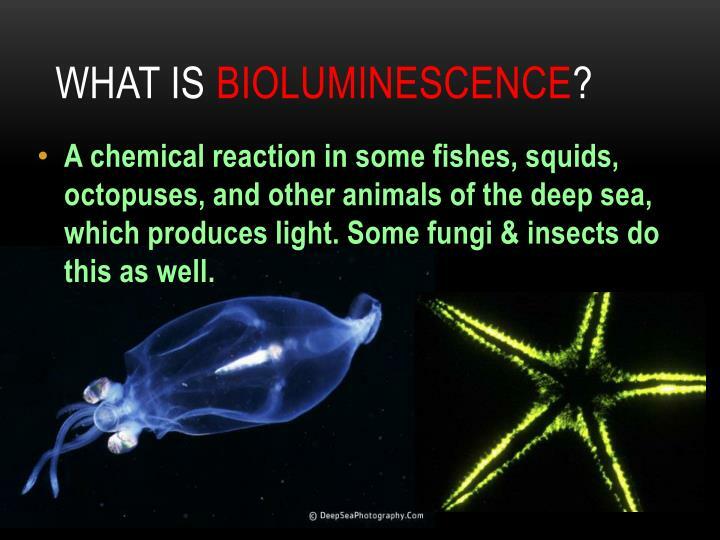 Almost all marine bioluminescence is blueish/green. 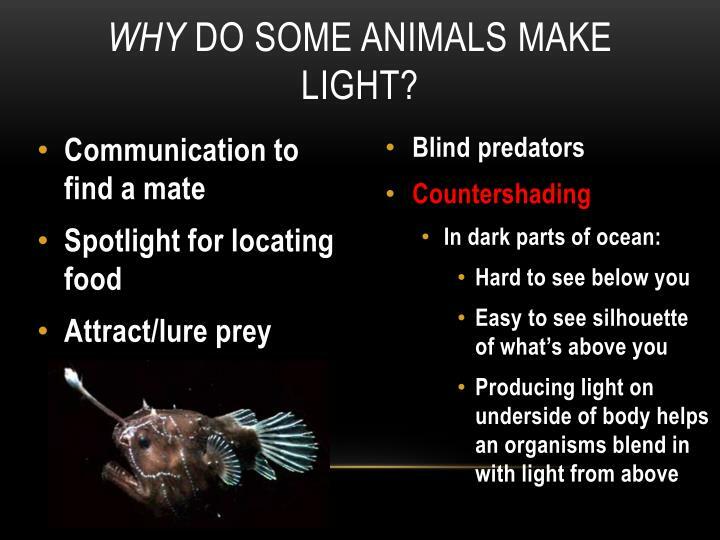 Why do some animals make light? 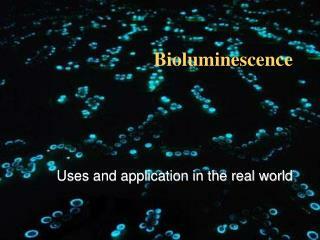 What is the evolutionary advantage of bioluminescence? 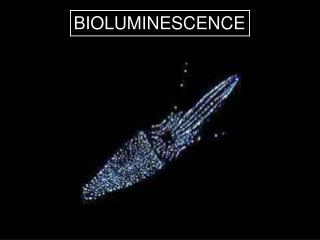 BIOLUMINESCENCE -. 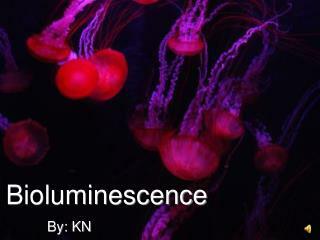 aequorea victoria. 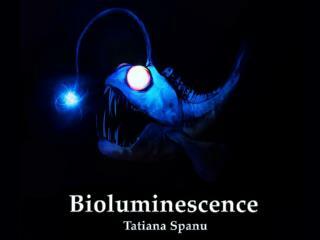 melanostomias bartonbeani. 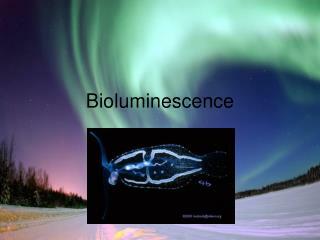 bargmannia sp. 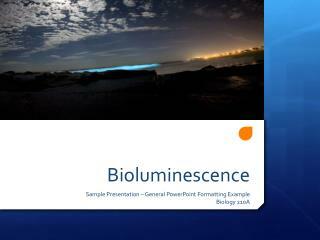 beroe sp. 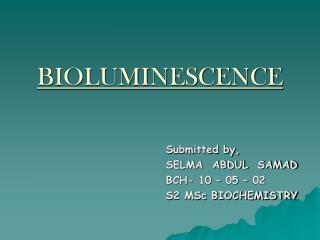 substrates and enzymes. 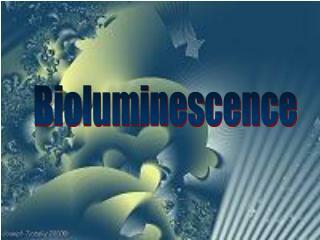 luciferin general term luciferase present in diverse taxa oxygenase exaptation. 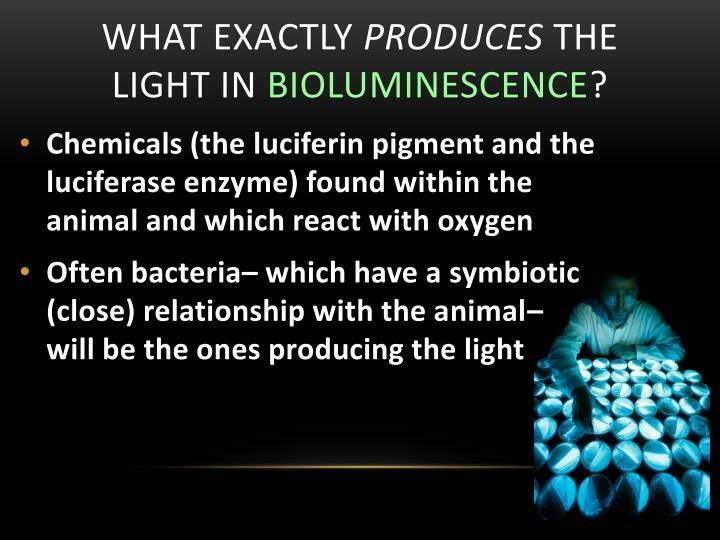 bacterial luciferin. 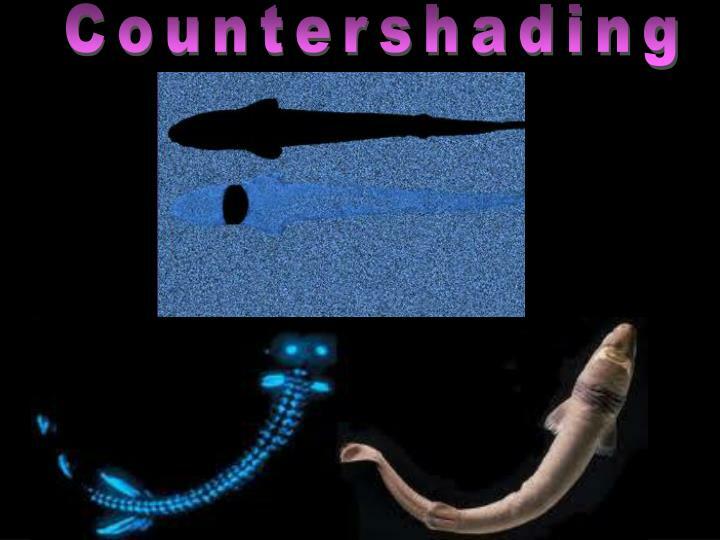 vargulin. 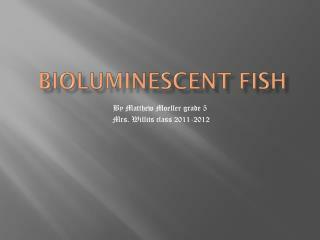 Bioluminescent fish -. 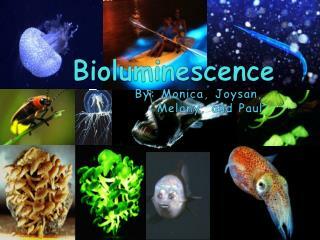 by matthew moeller grade 5 mrs. willits class 2011-2012. 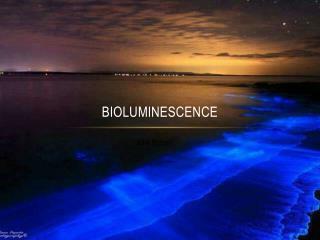 Bioluminescence -. 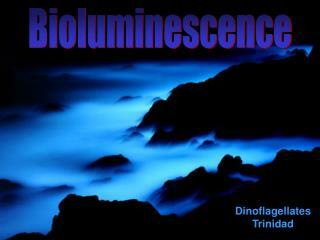 dinoflagellates trinidad. 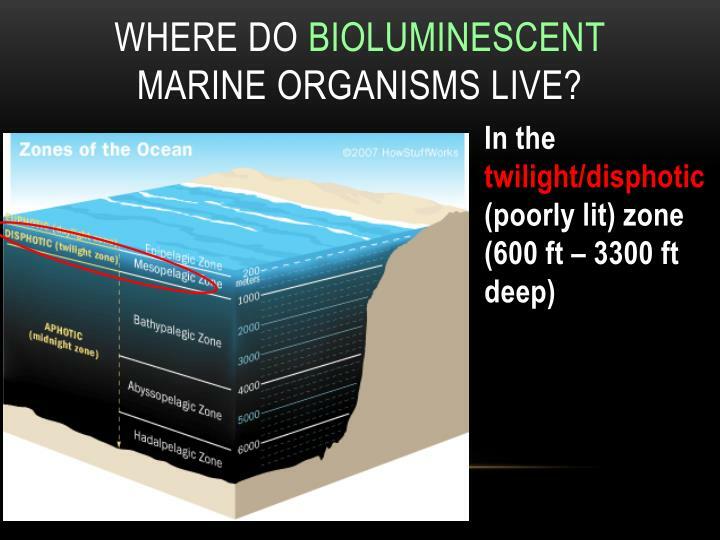 what are the conditions like in the deep sea? 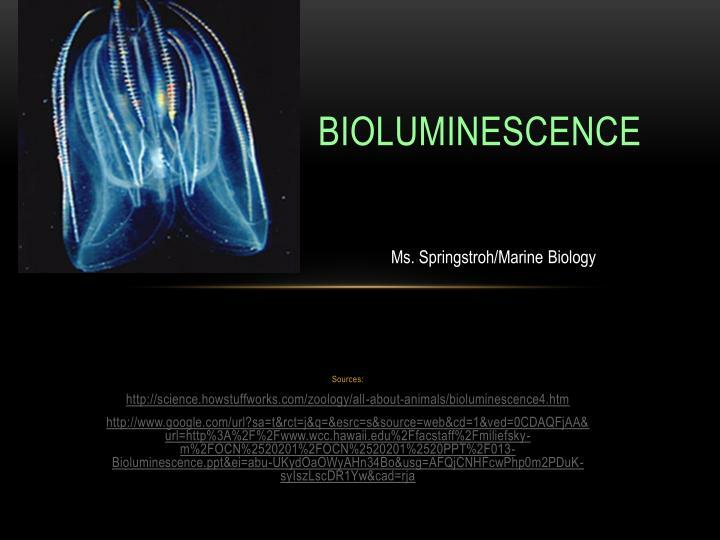 physical: biological: what are food sources for animals that live in the deep sea?. 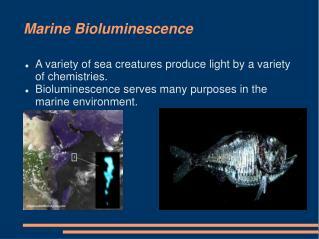 ocean zones. 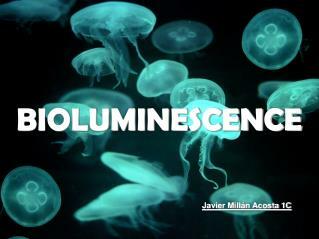 0 m. photic. 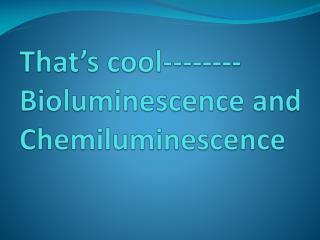 200 m. dysphotic. 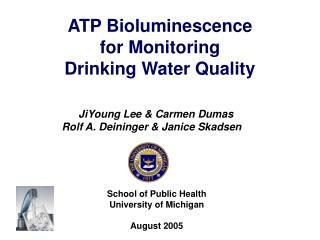 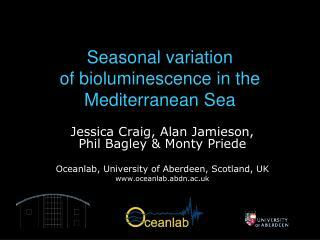 1000 m. 2000 m.
Evolution of Bioluminescence of Deep Sea Organisms -. 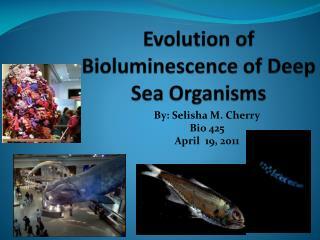 by: selisha m. cherry bio 425 april 19, 2011. agenda. 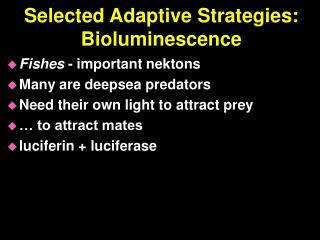 definition of bioluminescence research goals adaptations attraction/repulsion reproduction avoid predation future research.